I have been most remiss about posting about the garden this year. I did this video before I went away on my vacation – I’ll have a post all about my trip with a Blogaversary Giveway in the next few days – but just didn’t have the time to get it posted. We’ve had a somewhat strange spring here in western Montana; it got very hot quite early, then it cooled and now it’s hot again. Who knows what that is going to do to the plants? 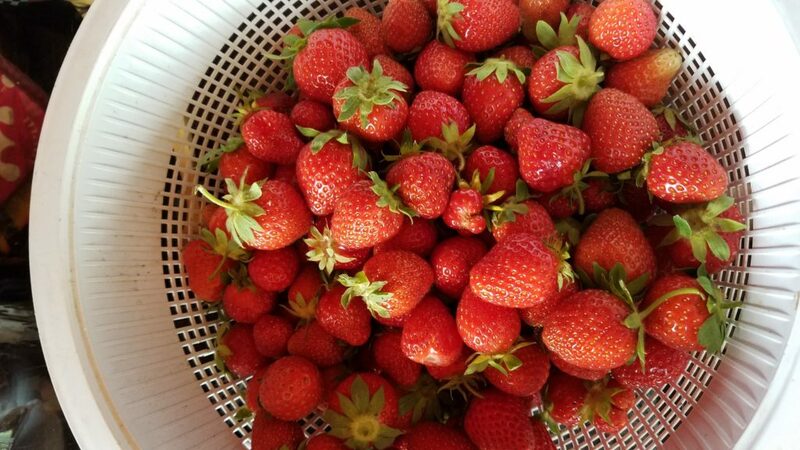 Before I left the strawberries started coming which was wonderful. 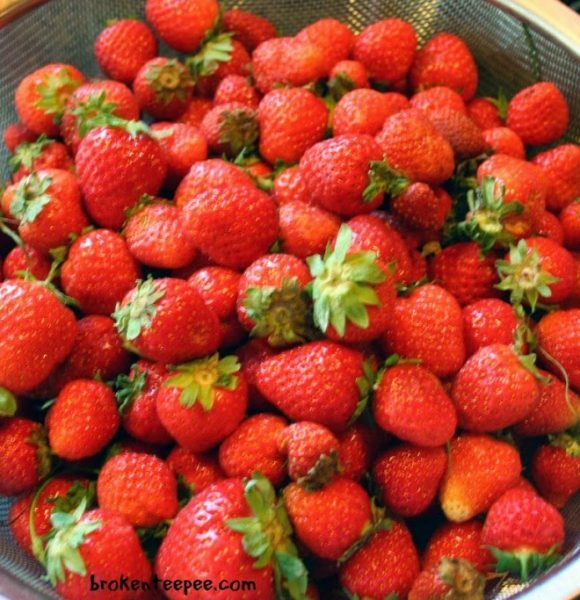 We ate them several nights for dessert and I made one delicious strawberry pie. The recipe for that is also coming soon. I tried something new this year and added a layer of chocolate ganache. Mmmmm. 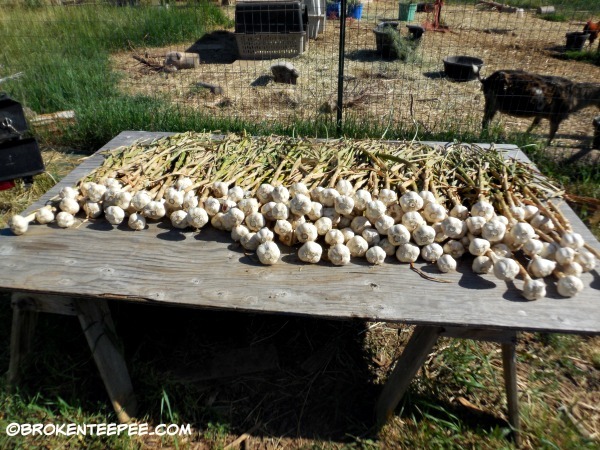 He also harvested the garlic while I was away. Do you think we’ll have enough? 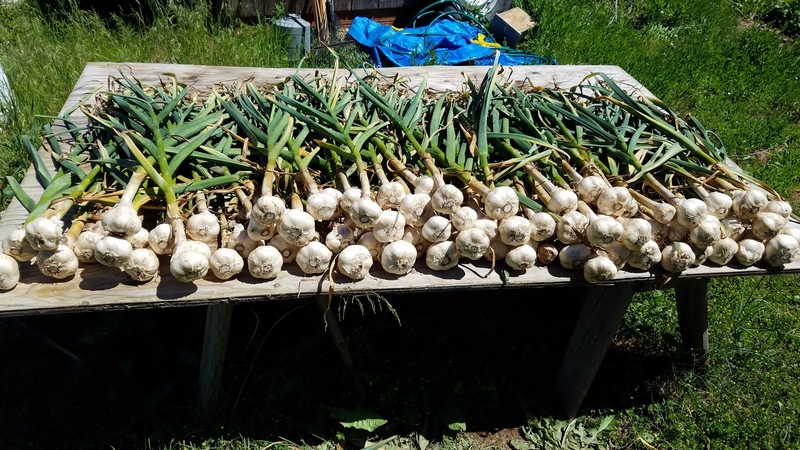 Maybe I’ll hold a giveaway for a small box of homegrown garlic. Would anyone be interested in that? Let me know in the comments. 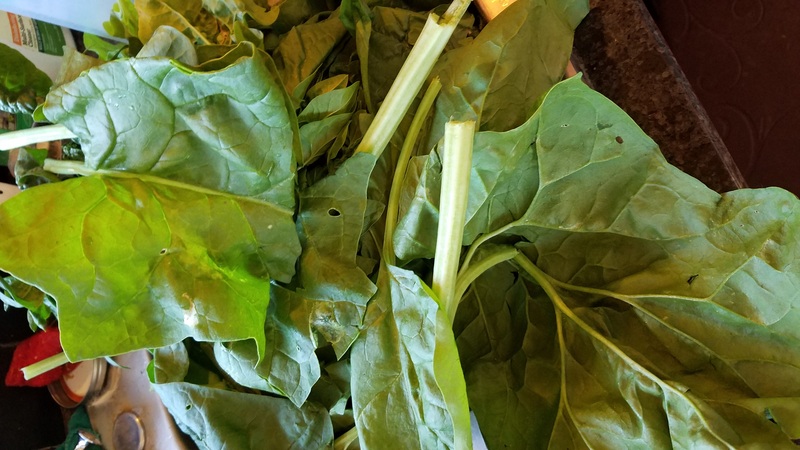 He also harvested a lot of spinach while I was away. He put up about a dozen gallon bags in the freezer. It’s one of the easier vegetables to process. This year has been great for spinach. He brought me in quite a bit today as well and I put most of it into bags to freeze but I did cook some for him for his dinner tonight. I don’t like cooked spinach – I only like it raw in a salad. The goats got all of the trimmings and stems from the spinach processing today so they were happy too.